Clinical Faculty members are crucial to the Department’s vision: Advancing excellence in women’s health. They teach and inspire our learners and are the role models for the next generation of healthcare professionals. They often also make significant contributions in administration, professional development, and translational and clinical research. The Department of Obstetrics & Gynaecology currently has more than 200 clinical faculty members. The Department has put together the below Orientation Guide to help you navigate your first few months with the Department. However, you have any questions please feel free to contact the Administrative Director in the first instance. There are many benefits to being a clinical faculty member please review this guide for further information. Resources for current clinical faculty members can be found on the Faculty of Medicine Clinical Affairs website. New clinical faculty appointments are considered on a bi-monthly basis from October to June. Applications are accepted year-round. Review the Faculty of Medicine Clinical Faculty Affairs site, including the Policy on Clinical Faculty Appointments and Compensation Terms. Complete the Clinical Faculty Application Form and the Payment Instruction Form. Curriculum vitae (UBC format only). The Department can help you with this. Please click on CVs here for more information. Please send completed paperwork to the Administrative Assistant, Brian Nelson. Feel free to scan and email these. Clinical faculty promotions are considered on a bi-monthly basis from October to June. Applications are accepted year-round. General guidelines on timeframe and eligibility for promotion can be found here. Clinical faculty reappointments for your UBC appointment are considered in the spring of each year. At that time you will be contacted by the administrator for your Division to set up a meeting with the Division Head. At that time you will be sent the documentation you will need to complete for the meeting along with an invoice for your Annual UBC Dues. Any questions related to your UBC reappointment should be sent to the Administrative Assistant, Brian Nelson or call 604 806 9066. This process should not be confused with your hospital reappointment. That is done through the Site Heads and will be coordinated by their staff. The documentation you need to provide will be sent out by their office and the offices of the Health Authorities you work in. For further information on this process please contact your appropriate Site Head. The Department has developed a CV database so that you can maintain your information there and pull reports in the UBC CV Format for reappointments and promotions. If you do utilise the database please ensure that the information is up to date. You're divisional admin support will be able to help you with that by pulling your current CV for you to review. If you do not yet use the database you can provide an electronic copy of your CV to your divisional admin support they will be able to create your CV in the database. The login please go to this link and you can use for the Education Database can be used for the CV Database. As a Clinical Faculty member you may be eligible to be compensated for your teaching contributions and your committee attendance. In order for this to happen we need to track all undergraduate and postgraduate teaching and any committees you are a member of. Even if you are not eligible for compensation we want to track your contributions so that this record can be used for reappointment and promotion. You can review the Compensation Terms here. The Teaching Tracking and Payment System (TTPS) is a new, province-wide system, which the Faculty of Medicine will use to document the teaching contributions of Clinical Faculty who teach in the MD Undergraduate Program (MDUP). This system will enable improved administrative processes for managing Clinical Faculty information and payments. Provide a record of teaching contributions that can be used for reappointment, promotion and other recognition opportunities. This teaching is tracked on your behalf using the undergraduate scheduled by the Departmental Undergraduate Staff. If the schedules are not updated correctly then the teaching and payments will not be correct. So it is important that if you are subbing in or someone is subbing in for you that you let the office know. Please contact Kathryn Tullis in the OBGYN Undergraduate Office or call 604 875 2424 Ext 5810. This teaching is tracked through our Departmental Education Database. You can have your MOA sign in as you to input both your teaching and committee attendance. Here is a link to the database. You should receive login details at the time of your initial appointment but if you do not have these please contact the Administrative Assistant, Brian Nelson or call 604 806 9066. You will receive payment for your postgraduate teaching once per year at fiscal year end. You will also receive a letter outlining your contributions. Please review and if it is incorrect contact Scott Lewis. The Department holds multi-disciplinary rounds that can be attended in person, at one of our main sites or from home. You will find further information on the topics, dates and how to attend in either person or remotely here. There is a quick link on the front page of our website at the right hand side. We also record most rounds and they can be viewed at a later date – it is called Video on Demand. To login click here. You will need a password to access these and that is included in your welcome email. We want to promote your successes with the Department and the wider community. If you have a news story you would like to share with us that we can include on the front page of our website please click here. There is also a quick link on the front page of our website at the right hand side. The Department has developed guidelines on a number of matters and have archived them here for your convenience. Please visit this link for guidelines on a variety of topics including faculty hiring, volunteers, locums and faculty dues. As part of this on boarding you are required to complete an online bully & harassment course. It is quite short but this is required of everyone who has an appointment at UBC. Please see our Departmental guidelines on Bullying and Harassment here. For more information on UBC Policy and the definitions of bullying and harassment click here. At UBC, we are responsible for substantial amounts of personal information about students, faculty, staff, alumni, and donors. Protecting this information is everyone's responsibility. By taking the first simple steps to stay secure, you can make a big impact on privacy and information security, both at home and at UBC. Privacy and Information Security – Fundamentals training is now a mandatory requirement for faculty, staff, researchers, student employees and contractors who use UBC Electronic Information and Systems. Visit our Training page for more information. For those of you unfamiliar, One45 is UBC Faculty of Medicine’s Evaluation and Trainee Rotation Placement Management System. If you wish a login for One45 please contact the Program Assistant for the relevant program. Teachers who are going for promotion, re-appointment, tenure or awards and would like to ensure that they are assessed, should self identify by filling out the assessment request form, prior to the start of the term or educational activity that they are teaching in. Reports will be made available to faculty electronically via one45 usually twice a year, provided that they have been assessed by 5 or more learners. Depending on the program year, reporting will occur either after each term, or half way through the academic year and at the end of the academic year. Aside from the regular feedback that teachers will receive bi-annually, more extensive historical report requests can be submitted by filling out the report request form. These are for teachers who are going for promotion, re-appointment, tenure or awards and require a multiple year history of their assessments by students. These dues are not to be confused with Hospital dues. 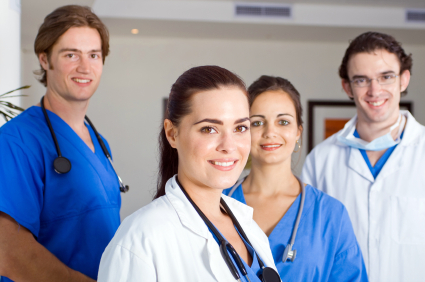 Hospital dues are paid to the appropriate hospitals to support different initiatives. For further information on UBC Faculty Dues please contact Andi Martin. For further information on Hospital Dues please contact your Site Head. To apply for a faculty appointment please contact the Administrative Assistant, Brian Nelson or call 604 806 9066. To check on the status of a faculty appointment please contact the Administrative Assistant, Brian Nelson or call 604 806 9066. For assistance with your Campus Wide Login (CWL) please contact the Administrative Assistant, Brian Nelson or call 604 806 9066. For assistance with your Education Database Login please contact the Administrative Assistant, Brian Nelson or call 604 806 9066. To update your personal information please contact the Administrative Assistant, Brian Nelson or call 604 806 9066. Sign up for direct deposit please contact the Administrative Assistant, Brian Nelson or call 604 806 9066. Sign up for undergraduate teaching please contact Kathryn Tullis in the OBGYN Undergraduate Office or call 604 875 2424 Ext 5810. Inform us of changes to your undergraduate teaching please contact Kathryn Tullis in the OBGYN Undergraduate Office or call 604 875 2424 Ext 5810. Query a teaching statement please contact Kathryn Tullis in the OBGYN Undergraduate Office or call 604 875 2424 Ext 5810. If you are looking for help with something else please click on our OBGYN Admin Contact List for assistance.